Tonybet Poker has just presented the spectacular trophies which will be rewarded to the winners of the High Roller and the Main Event of the first-ever Open Face Chinese Poker World Championship starting next week in Prague. The site officials have also announced that some of the biggest poker high rollers will be playing the event which all poker fans will be able to enjoy on live stream. Welcome to the Live OFC Poker Blog! 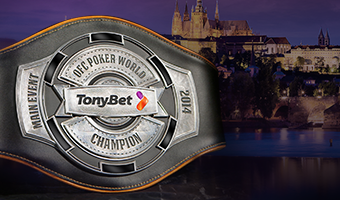 Hello and welcome to the Tonybet Open Face Chinese Poker World Championship live blog. With the event just one week away, we’ll keep you updated with all the latest news about the tournaments as they happen, so be sure to follow us on the daily basis.